The juniors showed their speed today in the WOA Sprint at Massey University. A relatively simple course with 50-50 route-choice meant those with speedy legs could push confidently the whole way. With minimum hesitations there were no breaks for the runners and the pain was showing on the runners’ faces as they were racing around the course. The men’s grade was taken out by Tim Robertson with a time of 16:10 for the 4.4 km course. The Moose followed close behind on 16:20 with Brodie Nankervis, our Australian pal, filling the podium with 16:30. The easy navigation meant the time-loss for the top runners was minimal, but there were still a few decisive legs on the course. 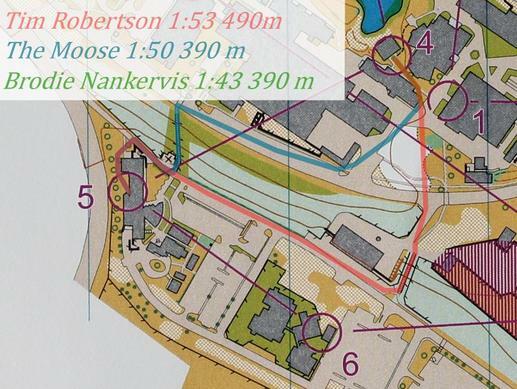 A wider route-choice of 100 m further by Tim to the 5th control caused no significant time loss. Shorter stairs may have made the running easier but Tim was probably just stronger on the hill. 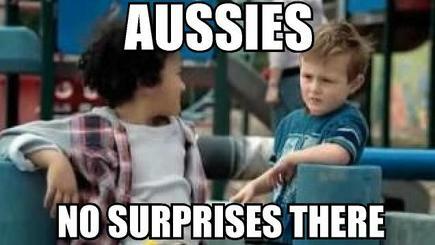 Brodie’s error in his choice of paths to the 10th control cost him 12 seconds to Tim. Speaking to Brodie after his race, “I didn’t have a plan and I didn’t know where I was”. Tim lost half a minute to the 13th control from miss-reading the gap between the buildings. The olive green without borders was very difficult for the runners to see and many of the impassable gaps appeared runnable. This pushed Tim an extra 130 m around the building until he found a legal passage. A lack of concentration by The Moose meant his exit direction from 18 was 90° off. 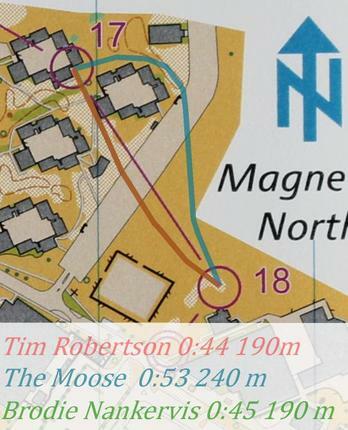 “I made an amateur mistake because I am a complete rookie” The Moose described his route-choice after he finished, which may have cost him the win. Map of the Mens Elite course with the route-choices of the top 3 runners can be found in the “Maps” section of the blog.